Tali Ketzef was born in Israel and lives currently in Berlin. Her first roles at the Tel Aviv Music Academy were the 1st Witch in Dido and Aeneas, Valencienne in Lehar’s Die lustige Witwe and Najade in Ariadne auf Naxos. As a member of the Israeli Opera's Meitar Opera Studio 2014-2016 she performed Adele in Die Fledermaus, Gretel as well as Taumännchen and Sandmännchen in Hänsel und Gretel, Susanna in Le Nozze di Figaro, Pamina and Papagena in Die Zauberflöte, Despina in Cosi fan tutte, Mademoiselle Silberklang in Der Schauspieldirektor and Giulietta in I Capuleti e i Montecchi. She appeared as Gilda in Rigoletto at the Perugia Music Festival in 2013. 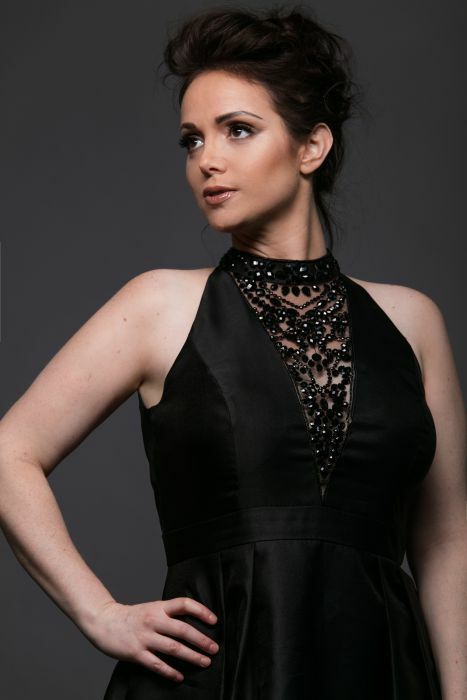 Her role debut as Violetta in La Traviata took place at the IVAI Summer Opera 2016 in Tel Aviv and she sang the role again in 2017 with Jerusalem Symphony Orchestra under the baton of Amos Talmon. At the Israeli Opera in Tel Aviv she has sung a.o. Clorinda in La Cenerentola, Juliette (cover) in Gounod’s Roméo et Juliette and Pamina in children’s version of Die Zauberflöte. Tali Ketzef's upcoming roles in 2017/2018 are Frasquita in Carmen, Voce dal cielo in Don Carlo, 1st Witch in Dido and Aeneas and Tytania (cover) in Britten's A Midsummer night’s dream. Her next role debut is Blanche in Dialogues des Carmélites with Balance Arts Opera Berlin 2017.